Try other types of cheese or a blend! In a large bowl, toss potatoes with oil, salt and pepper. 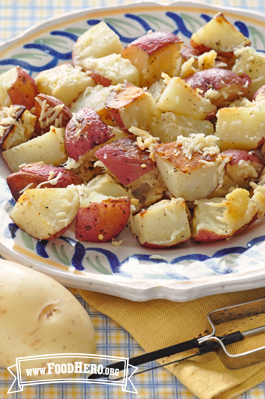 Place potatoes in a single layer on a large baking sheet. Roast 25 minutes; sprinkle with cheese; roast 5 to 10 minutes more. Serve warm.